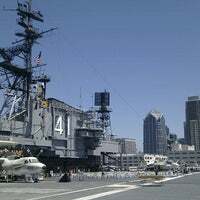 Собираешься отправиться в San Diego? Одно из 5лучших мест категории "Музеи" в Сан-Диего. Очень понравилось обилие техники и возможность потрогать, посидеть в ней. Минимум 3 часа закладывайте на посещение. 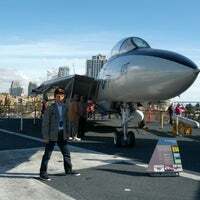 This is an awesome museum for plane enthusiasts. 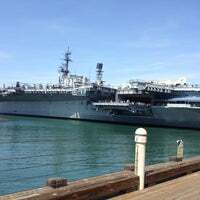 There are three decks on the carrier and each of them takes about an hour for a full visit. They also lend free audio guide! 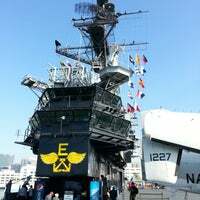 Although it’s been decommissioned as an active aircraft carrier for over a decade, every once in a while I’ll still land a helicopter here. Arrive early and plan on spending 4+ hours. Do the flight deck first before it gets too hot and crowded. Then there are 2 walking tours around the inside of the ship. Forward tour is better. Make sure to talk to the guides down in the engine room - they offer plenty of cool facts about how the ship runs. 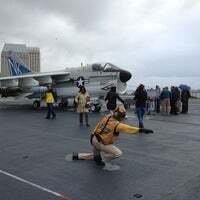 If you have an iPhone 4s or 5, make sure to take a panoramic shot on the flight deck. Make sure to get the kids activity booklet if you are visiting with children. Plan a couple hours to walk the whole ship. Very detailed descriptions of ship and life aboard. Lots to see. Many fighter models to see and touch. 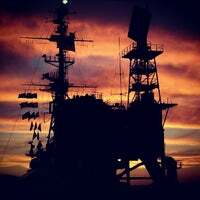 Great insight into the gargantuan machine that is the U.S. Navy. Very well put together exhibits integrated beautifully into this floating piece of history. 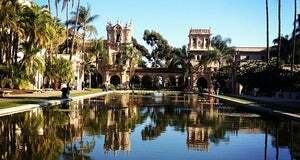 A San Diego must see. Special touch is listening & interacting with the volunteer veterans. One of the best museums I've been to. Es un excelente ejemplo de lo que es un portaaviones y como fue evolucionando la tecnología de guerra en un portaaviones, las audio guías son una muy buena ayuda, el costo es realmente económico. Excellent facility which you to an audio self guided tour of. There are plenty of volunteers at various stages to explain the equipment and workings of the aircraft carrier. Great museum, good value for money at $20 per adult. You could easily stretch this out to half or a full day if you speak to all the veterans and do the tours. 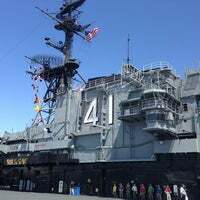 Great place for kids to learn about history and technology. If youre an adult, its better to have an interest in the military and military science. A special place but exhausting tour. 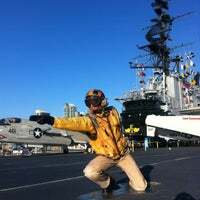 US Aircraft carrier tour with many things to see and do for all ages. Look for discounts online before visiting. Spent four hours here, was very fun and educational. Just be aware if your more than 5'6" that you'll be ducking/crouching a lot. What a great place! Would strongly recommend it for your next visit 🤗 Their gift shop has cool stuff that you would actually want to buy as souvenirs! Plan to spend here at least several hours. 1,5 us not nearly enough. Listen to the crew, they have a lot of cool stories. A must visit place. Excelente museo. Vale la pena invertir 3 o 4 horas aquí. Fascinante la historia y los datos proporcionados. Usar audio guía. At sunset what a view of the bay - great place for a party on the flight deck. Incredible history taught by men who served on the ship. Do not miss the Island tour. Pay attention to the names recorded on the flight boards. Awesome tour. 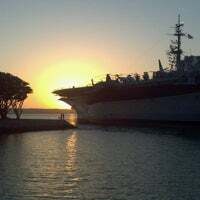 Thanks to all who served on her and the volunteers with her now. Such a good experience. 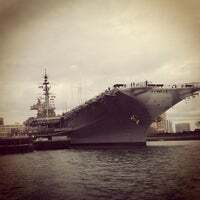 It was amazing seeing all those air planes and going inside the aircraft carrier. I hope they do more and more museum like that. It was worth every minutes! This is a GREAT family activity. Food is pricy for what you get on board. TONS to see. Got there at 10 am and didn't see everything at close. Kids loved it and so did adults. A *MUST* do! If you get a chance make sure to listen to the speakers on the flight deck. Their explanations of launches and landings are exciting and easy to understand. Be sure to do the island tour, and listen to as many of the volunteer presentations as possible. The audio tour is good, but the volunteers are better. Go straight for the Island Tour (often involves a line up but well wort it), then check out the talks on take-off (bow) and landing (stern). All surgeons should check out the sick bay to see what operating in a closet is really like. Also: get up close and personal with an F-14. Mükemmel! Özellikle gönüllü çalışan eski pilotlara bayıldım. Kesinlikle görün.. This is a great Museum. First, the ship is massive and you really get a feel about what it must be like to see it both from a distance and up close. Recommend to reserve 3-4 hrs to visit,and it's better to lend a audio tour in free which provide detail stories in many languages even in Chinese. Dont forget your walking shoes, stairs can be pretty steep. The audio tour will take you through the main highlights (English, spanish and japanese available). So much to see here; it's like a maze! Make sure to check-out the berthing and brig areas; they're the best parts. 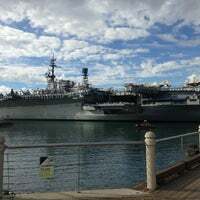 Fantastic attraction in San Diego. This is a MUST SEE. 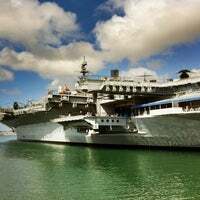 The free audio tour that comes with admission includes 60+ stops throughout the ship. Also, don't miss The Island tour. A great family tourist attraction that adults and kids will love. Get there early, there is so much to see and the time flies by faster than you think. Buy tickets online and skip the line, saving $2 too! You can enter straight into the ship and show the barcode. buenísimo, vale la pena conocer cada rincón. Usen los audífonos para optimizar tiempo. Muy interesante conocer la vida en un portaviones. So many things things to see and discover... Audio tour included... Volunteers to talk with... A great museum ! 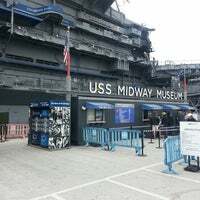 The USS Midway Museum is an unforgettable adventure for the entire family. Explore more than 60 exhibits with a collection of 25 restored aircraft! "Chilli Bowl and Rueben Sandwich!" "Pretty good for a :15 min. presentation. Bonus, the film was written by Robert C. Matheson, great TV writer." "Excellent museum! They have added so much since my last visit years ago. 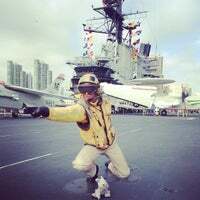 A must see for any aviation enthusiast!" "Интересная экспозиция. Особенно понравились подводные лодки, советская и американская. Посещение стоит своих денег 16$." "Весело, громко. Думаю, детям после 5 будет не очень интересно. Парковка на улице $1 за час." "Beautiful place to watch the sunset, go for a walk... Or just chill and relax. Parking is tough to find on weekends! Lots to do around here..."
"Отличное место со свежей рыбой и видом на заходящее за авианосцы солнце!!!" 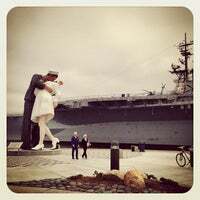 "The sculpture is beautiful and it is also minutes away from Bob Hope memorial and US midway marine ship😊"